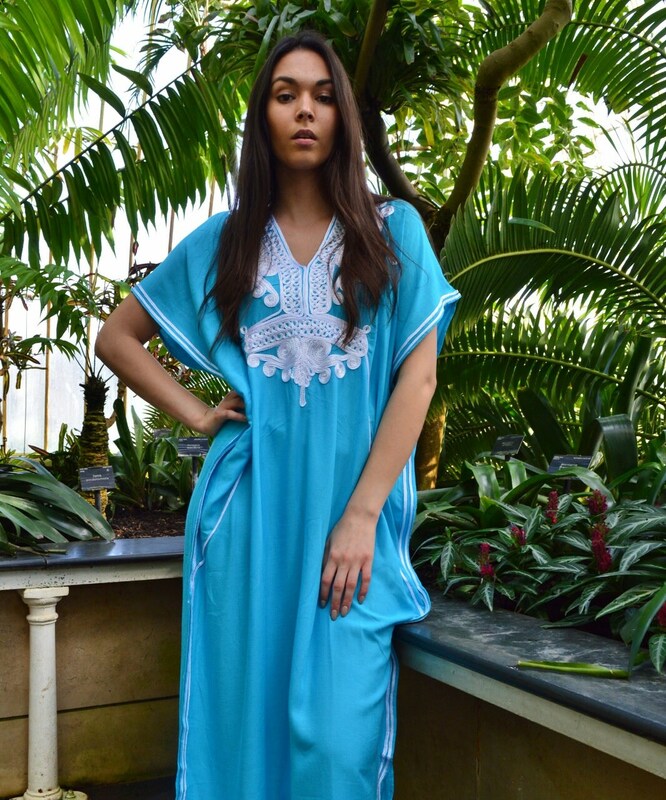 ♥This caftan comes in One size (Suits S/M/L/XL up to bust 125cm, 49-50 inches). The fabric is a soft cotton and the color is vibrant. I like the fact that it is a one in all size. I don't have rounded hips so it is scanty around my rear end.